Cristina's Pizzeria joined our Mission to help provide access to “Clean Water for All by 2030”. This Mission was initiated by the United Nations. A big thank you to Cristina's Pizzeria’s team and customers for joining this extremely important mission on 28 April 2018. 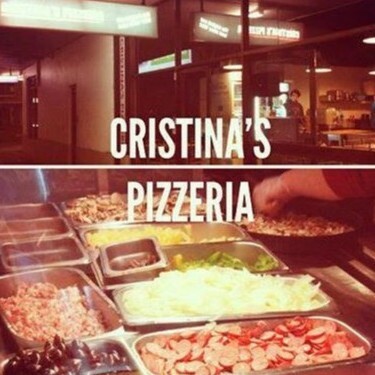 At Cristina's Pizzeria we are proud to offer a range of great tasting, top quality Pizzas. For over 25 years we've created "super superb" pizzas using the freshest vegetables,cheeses,meats and seafood for all people "4 all seasons". The authentic Italian pizza base,made daily on site, has been passed down through several generations and is the secret for the sensational mouth watering experience. Home delivery, pick up or eat in,however you choose to enjoy your Cristina's Pizzeria experience,We thank you for welcoming us to your table! Cheers! Good Health! Bon Appetite! Buon Appetito! Buen provecho! Suhtain!